Paris (AFP) - Iran wants all Western sanctions to be lifted as part of a deal on its contested nuclear programme by a November deadline, a top official said Wednesday. The announcement came amid intensifying efforts to conclude a definitive pact. The six powers in the talks with Iran -- Britain, China, France, Russia, the United States plus Germany, known as the P5+1 -- have set November 24 as the deadline. 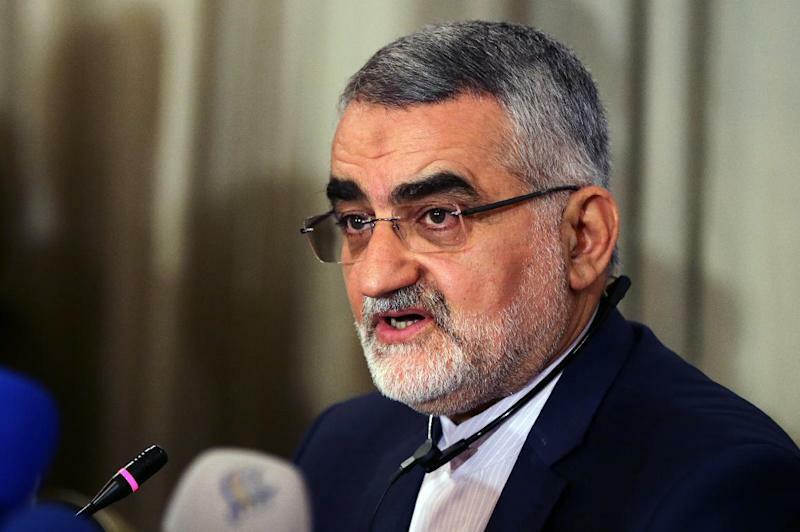 The chairman of the Iranian parliament's National Security and Foreign Policy Commission Alaeddin Boroujerdi said the US proposal of a gradual lifting of sanctions was "unacceptable." "If we want a definitive accord on November 24, there must be an immediate lifting of sanctions," he told a news conference in Paris. A Western diplomat close to the negotiations with Iran on Monday said a firm deal by the deadline was highly unlikely, saying Tehran would have to make "significant gestures." The aim is to close avenues towards Tehran ever developing an atomic bomb, by cutting back its enrichment programme, shutting down suspect facilities and imposing tough international inspections.